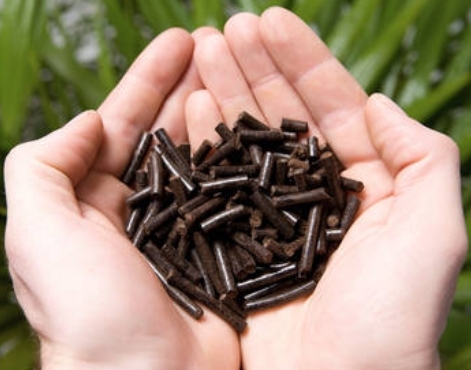 Torrefied biomass is regarded as one of the most efficient biofuel manufacturing processes to produce the coal substitute known as torrified pellets. In the torrefaction process, biomass is processed at the temperature of 250-350°C in the absence of oxygen atmosphere, decomposing the Biomass components, preserving energy content so that the energy density of the torrefied biomass becomes in pellet or briquette form which is much higher than other solid biomasses in trade. The properties of the final product depend on the torrefication process and on the kind of feedstock are used. Depending on factors such as time, temperature and residence time, the biomass can be torrefied to different torrefaction degrees/temperatures. Directly connected to the degree of torrefaction is the net calorific value (NCV) of the resulting product. Theoretically, NCVs of 28 + MJ/kg could be reached, even though the overall process efficiency seems to be best at 20-22 MJ/kg NCV (depending on feedstock). No biodegradation of the product when stored. Increased energy density, significantly low transport cost. Increased grindability, hence requires less energy during processing.